Doctor Who Sound Effects Key Fob | Exterminate with 6 classic Doctor Who sound effects! Play secret sounds from your pocket! Without these 6 classic sound effects! Taken directly from the hit TV series! Carry your keys with you wherever you go with this electronic Doctor Who Key Fob! With six buttons to choose from, you will get a variety of sound effects from the hit BBC TV series. It'll come in handy when you want to pretend to be a Dalek! 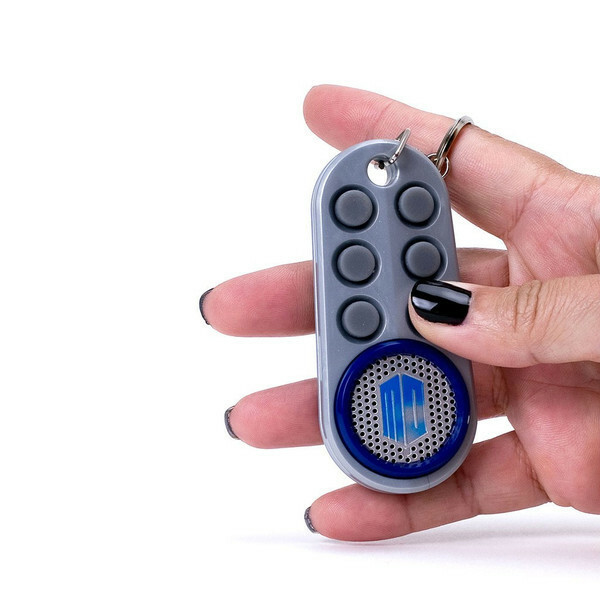 With sounds from the Sonic Screwdriver, K-9, the Daleks, marching Cybermen, the Tardis and a Judoon Gun, the Doctor Who Sound Effect Key Fob is the ultimate gift for any Doctor Who or science fiction fan. Add it to your keys now!